SLO Notary is a premium notary public service in San Luis Obispo County and surrounding areas. We are here to service the residents and businesses who are in need notary services. We are notary specialists in the San Luis Obispo County and surrounding area. 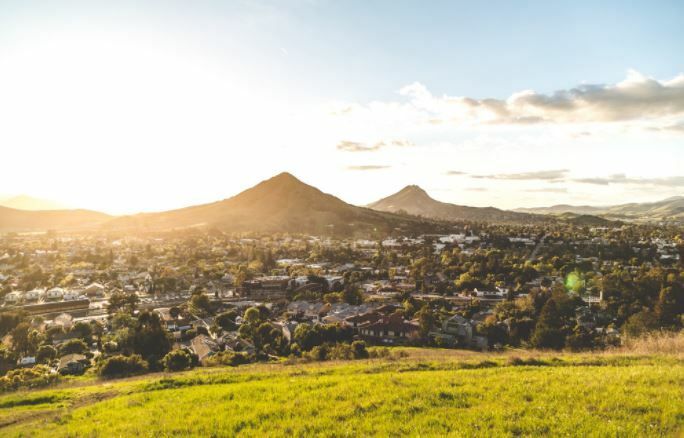 Residents and businesses in San Luis Obispo County always look forward to working with SLO Notary whether you live downtown or in the country. While most people don’t even consider what a notary does, the time may come when you will really need one here in San Luis Obispo County. The duty of a notary is the establish identity for signers of important documents, establish that the person is willing to sign without duress, as well as being aware of the contents of the document or transaction that they are signing. Some notarizations require that a signer be put under oath to declare that the documents information is true and accurate. SLO Notary specializes in notarizing Estate Planning documents, acknowledgments, jurats, affidavits, oaths and affirmations, signature witnessing, living wills and trusts in addition to other types of documents that are in need of notarization. We hope that you can feel comfortable working with a local, reputable firm. With so many places to go and things to do in our beautiful area, spending time looking for a Notary shouldn’t be one of them. Please email, text, or call us for an appointment at your convenience and one of our notaries will make arrangements travel to you. We are all about convenience and flexibility. Whatever notary need you may have, we hope you will consider SLO Notary. Life can be stressful, but choosing a notary doesn’t need to be one of them. San Luis Obispo: San Luis Obispo was named one of the country’s friendliest town by USA today. But anyone here could tell you it’s true. This picturesque college town nestled along a creekside is known for the better things in life like coffee, beer, wines, great shops and great food. Local produce and food is a weekly event with SLO Farmers Market taking over the downtown on Thursday evenings! Come hungry, stroll the shops and enjoy live music and entertainment! Visit the beautiful San Luis Mission. And don’t forget to stop by Madonna Inn. Madonna Inn is not just a hotel, it is a local landmark located along the 101 that you just can’t miss. Built in 1958, the original motel only had 12 rooms. Today it has over 110 unique, flamboyant, outlandish rooms, all with unique themes and names. The restaurant with its ornate carpets and garish pink seats with leave you seeing pink but leave your tummy very happy! They are known for their beef and cakes. Yes, cakes. You’ll just have to see them to believe them. Oh and don’t forget to use their cave bathroom just off the restaurant lobby and gift shop. Avila Beach. Avila beach is a darling beachside town known for it’s adorable shops, coffee houses and restaurants along a beautiful boardwalk that is sure to please. One of the prettiest sandy beaches in the area it is known for its swimmable beach. Surfing, kayaking, biking and hiking are all close by. Check out the famous Bob Jones City to Sea Bike Trail. A fun Farmers market is held on Friday evenings. Don’t forget to watch the amazing sunsets from the pier or beachside benches. Sycamore Mineral Springs Resort and Spa. If you like private hot tubs nestled in a quiet hillside under a wooded canopy of trees, then Sycamore MIneral Springs Resort and Spa is a must! Located close to Avila Beach, rent a tub for an hour, or stay the night. And if you are in the mood for some local produce, just down the road is the famous Avila Valley Barn known for its fruits and veggies, bakery goods, petting zoo, and gift shop. Locals love the “hayrides” in the fall through the fruit groves. Montana de Oro. Beautiful rocky beaches and a cliffside walk that overlooks the tidepools and a beautiful bay. This park feels like you are in the middle of nowhere but is just a short drive from Morro Bay. It’s panoramic ocean views are unforgettable and there are hiking trails not only along the coastline, but up canyons and hillsides. Morro Bay. This beachy town with towering “rock” will not be something you soon forget. Did I say rock? Is it a mountain or a rock? Right on the edge of a beautiful beach and harbor dotted with the most amazing fresh fish places to eat. Enough said. Did I mention the fish and chips are amazing! Don’t forget to watch for surfers in one of their favorite spots north of the rock. Or rent some kayaks and paddle through the beautiful Morro Bay Estuary. Or go on a fishing tour. Oh, and have some salt water taffy! Cambria and Moonstone Beach: Have you ever seen a moonstone? If not, then head over to Moonstone beach and walk the sand or the wood platform trails along the coastline. After your walk, hit up the fun, touristy town of Cambria. Walk the shops and eat at any of the small restaurants. Don’t forget to have a slice of Ollalieberry pie at Linn’s Restaurant. Cambria is beautiful all year long! Cambria Pines Lodge has an amazing light display all December up until Christmas or take a stroll through their beautiful gardens any time of year. Hearst Castle and Beach: Step back in time and visit Hearst Castle for an unforgettable “Great Gatsby” experience. This mansion boasts 38 bedrooms, 42 bathrooms and over 68,000 square feet of gilded decadence. Built by William Randolph Hearst with his collections from his world wide travels, you will not be disappointed. Evening tours often have live actors dressed in era clothes and living the lifestyle of the rich and famous. Don’t forget to check out the magnificent indoor Roman Pool, and if you have time to watch the free IMAX show. While driving to or from the castle, you may notice people taking pictures on the side of the road of zebras grazing alongside the cows. They were once part of a private zoo on the property. But most of all, and I probably shouldn’t be telling you this, but don’t miss out on the most beautiful beach in California, Hearst Beach. Yes, it’s true. This beautiful cove is like a picture book. Rent a Kayak and paddle the calm bay. Take my most favorite hike along the edge of the water and then out to the rocky point. Piedras Blanca Elephant Seal Rookery and North: This beach just North of Hearst Castle on Highway 1 is home to hundreds of elephant seals during mating and birthing seasons. Watch them lay in the sun and battle for the females. Gross but fascinating all at the same time. Don’t forget to drive a little further north and visit the Piedras Blancas Lighthouse sitting on the rugged coastline with views that never end! And then stop at Rocky Point! The views on the drive north on Hwy 1 are worth the drive alone! This is what California looked like a hundred years ago! (Due to the landslide, proceeding further north of Ragged Point up to Limekiln Park, Julia Pfieffer Park/McWay Falls, Partington Cove, Pfieffer Beach and Big Sur are not accessible from the south yet. Hopefully soon!) Or you can try dropping down in from the North. Don’t forget to stop at Nepenthe Restaurant for their Ambrosia Burger located on a steep cliff overlooking the ocean! Or if you want to sit in the river on some old time adirondack chairs and put your feet in the water and then get a lovely lunch overlooking the river, stop by River Inn. This is one of our “happy places”!